Brighton Surf Guest House is a contemporary, stylish and cosy guest house ideally located just a stones throw from the sea and the beach. We are about 400 meters from Brighton Pier in sophisticated Kemp Town, Brighton’s cosmopolitan and vibrant quarter. Located within a short walking distance to the city centre, this is the place to begin your break. Whether your stay is for business, for pleasure or for a family holiday, Jeremy and the team look forward to welcoming you. 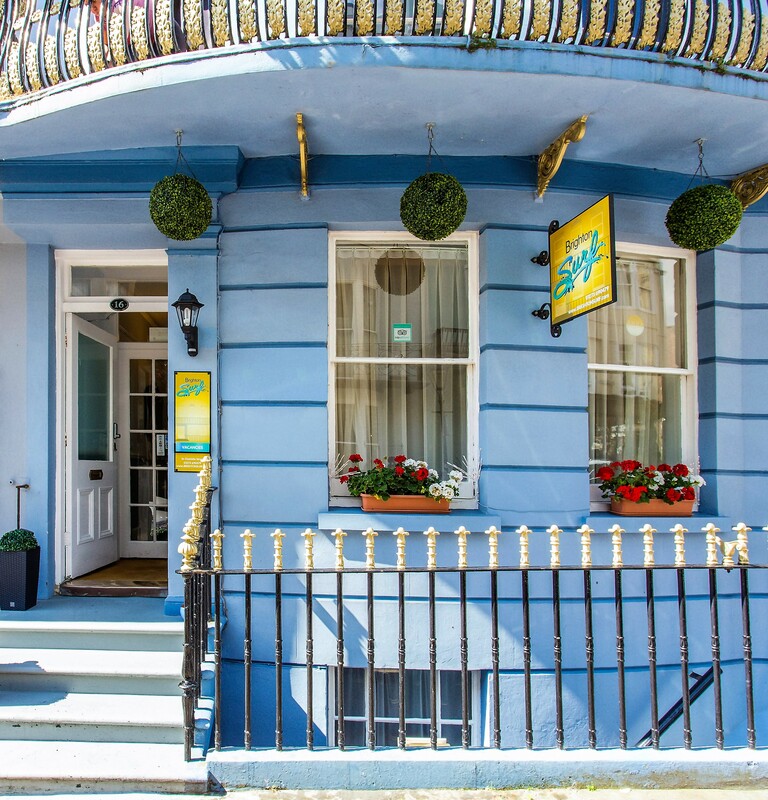 Brighton Surf Guest House is a Grade 2 listed Regency town house built in the early 19th century. The building is steeped in original features which have been carefully restored to showcase their historical beauty. The rooms at Brighton Surf Guest House have been recently renovated with each of its 10 rooms following an individual colour theme, offering an elegant style and bearing a unique feel. “Welcome to Brighton Surf Guest House! We are proud to offer contemporary accommodation which is great value for money, right in the heart of Brighton.